Iowa Central is introducing a new interactive feature to campus for the upcoming school year, Pocket Points! You might have seen or heard of some of your classmates already using this feature, and it is never too late for you to join in on the fun too! The TEAC (Triton Enrichment and Advising Center) has found a way for students to be rewarded for not using their phones during class, while studying, and driving, just by downloading the pocket points app! This app is available for both androids and IPhones. This app will track usage of your phone while your class meets, designated studying time, and while you are driving. These points can sometimes lead to rewards in the classroom! 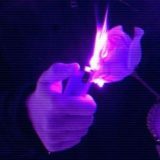 Incentives for using pocket points?? The TEAC wants to reward you for your class attendance and study time without using your phone! 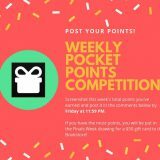 To participate in a weekly competition, simply download the Pocket Points app! Every week the app has a total accumulated points tally. Take a screenshot of your weekly score and post it in the comments of the weekly competition post. (To find the weekly post, follow Iowa Central’s Peer Mentoring Program page on Facebook!) Every week entered you will be added into a drawing that will take place during Finals week on Monday, May 6th. The winner will receive a $50 gift card to the Iowa Central bookstore! We also want to reward you for signing up for classes! When you enroll in new classes with your advisor make sure you have the pocket points app turned on. Let your advisor know and they will take care of the rest for you! You can also send a message directly to a mentor through the Iowa Central Peer Mentoring Program Facebook page! Thank you in advance for giving this new reward system a try, and as always, go Tritons!